About Program Associate role: The Program Associate position, based in Masasi, is a core role within myAgro that helps accelerate myAgro’s ability to scale, reach 100% sustainability and increase its impact. This role will provide crucial support to 2-3 field teams (~30 people). You will gain a breadth of experience in designing and scaling high impact cross functional programs that work across financial inclusion, agricultural development and mobile technology. 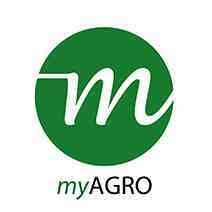 Reporting to a Masasi-based Program Manager and working closely with teams across the organization, you will be part of a team that is responsible for helping myAgro reach its ambitious goals in West Africa. Team Support:Support, train, and coach a team of 10 – 30 people and assist other team leaders to hire, retain and develop their teams to reach myAgro’s goals. Program Design:Design, iterate and improve myAgro’s model to serve smallholder farmers by designing a more cost-efficient and higher impact program model. Service & Product Development: In close collaboration with the agricultural R&D team, design marketing, tools and processes to test and scale innovative new products to increase farmer adoption and income. Sales Data Analysis: Develop and share a program dashboard and perform regular data analysis to improve performance of field districts, your specific product/service trials and new product roll out. Leadership Development: Develop professional performance plans, trainings and tools to support the leadership development of new and mid-level managers to take on increasing responsibilities to support myAgro’s future growth. Tanzanian nationals are strongly encouraged to apply.